DeMarcus Cousins had his best night as a Warrior. The four-time All-Star recorded a season-high 27 points in Golden State's 106-104 win over the Rockets on Wednesday. It was his highest point total since joining the team in January. 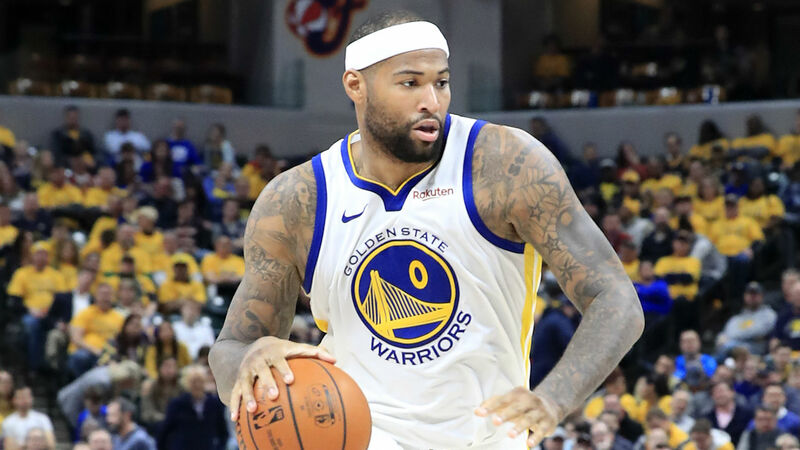 Coach Steve Kerr credited a new rotation and, of course, offered plenty of praise for Cousins, who is still learning the ins and outs of the six-time championship squad. “We’ve got to remind ourselves it’s still pretty early in the process," Kerr told reporters after the game. "I don’t know how many games he’s played for us — 20. We’re all learning, me too. I’ve got to learn how to use him better. I thought we used him better tonight. I thought he did a phenomenal job of getting down on the block and controlling the game down there. "It’s a good win for us." Cousins came to the Warriors via the Pelicans. However, Cousins missed the rest of 2017-18 after tearing his Achilles last season in late January. He averaged 25.2 points and 12.9 rebounds in 48 games with New Orleans. In Golden State, Cousins is averaging 15.2 points and 7.8 rebounds through 20 games. The Warriors sit atop the Western Conference with a 46-21 record. They are just 1.5 games ahead of the second-seeded Nuggets and now 4.5 games ahead of the Rockets, who hold are the third seed.